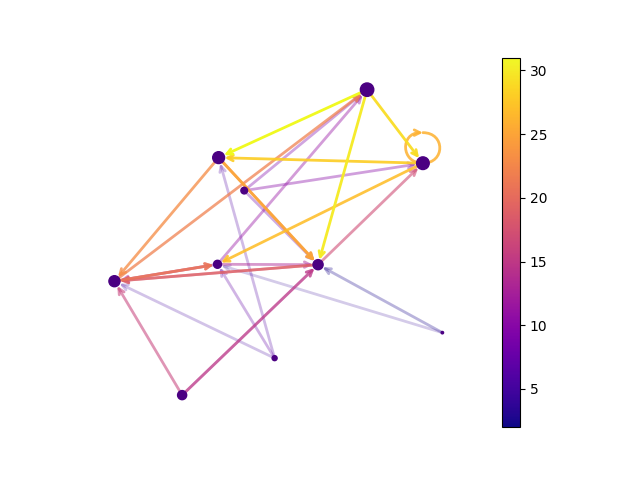 Draw a graph with directed edges using a colormap and different node sizes. Edges have different colors and alphas (opacity). Drawn using matplotlib.